Help individuals learn new skills, improve their performance and achieve their full potential by becoming the best coach or mentor that you can possibly be. Search for coaching training from the list below and learn what it means to empower others! Coaching can mean different things to different people. In basic terms, coaching is the process of supporting individual growth and development, maximizing potential and creating contentment. The main goal is to help groups and individuals go from where they are to where they want to be. Coaches play a key part in helping organizations grow, navigate through change successfully, and develop employees. An extremely important aspect of any professional’s career development, coaching generally involves the use of powerful questions designed to unlock potential and increase an individuals’ understanding of their own place within their career. Coaching training courses are great for individuals who want to become better coaches themselves or for those who need extra support. There are a variety of individual and group training providers that offer different types of coaching. Businesses often hire coaches to help implement new initiatives, to motivate and develop their staff, to help them learn new skills for their position, and for many other reasons. Individuals can also hire coaches to help them develop job skills, improve self-confidence and much more. Coaching training courses are delivered in a variety of formats and locations. Many providers offer coaching in a traditional classroom format for individuals looking for hands-on learning. During these courses participants often benefit from in-person teaching, learning tools, live discussions, and more depending on the coach. 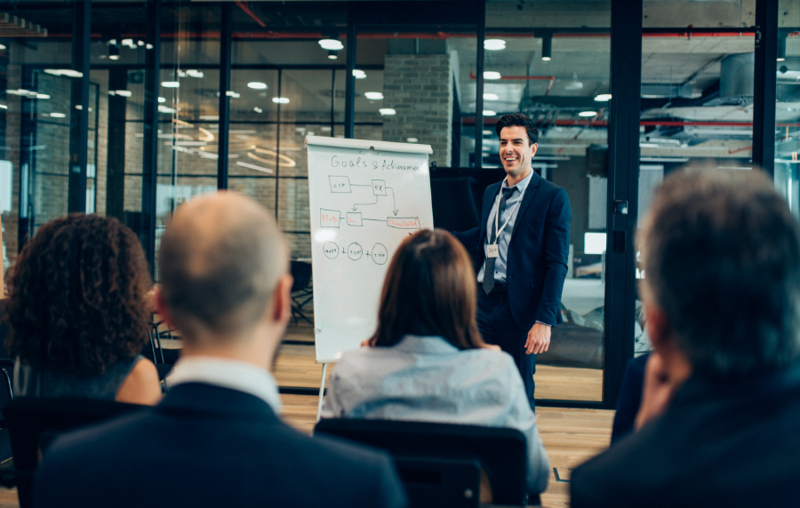 Many organizations also choose the option to hire in-house coaches who will deliver training on location and can coach multiple employees at one time. Online coaching training is become more and more popular these days as well. Online coaching provides individuals with the flexibility to learn when it is most convenient and save time and money by not having to travel to class. This is a great option for individuals who work a full time job or have a busy schedule. Coaching provides a different approach to employee development. With coaching training, employees receive guidance through a concrete, consistent, and well defined relationship. Rather than giving advice or redirection, coaching is designed to build effective workplace behaviors and increase productivity, effectiveness and employee satisfaction. Through coaching training, managers are able to use their leadership skills to guide employees towards solving problems themselves, pulling solutions and lessons learned from past experiences. People can also benefit from coaching on an individual level. Coaches can help improve self-confidence, increase effectiveness, increase understanding of ones self and others and do a lot more. Search through the variety of coaching training from the list above and start developing the skills needed to empower your colleagues today! Who is Coaching Training Suitable for?